Last week, we've talked about Enterprise Wikis, their strategies, and organizations like American Airlines can use them to its best potential. For those who don't know them, American Airlines is a major U.S. airline that flies an average of 275,000 customers daily to over 250 destinations. They are also well known for their social media efforts. Today, I'll be sharing about social networking sites, how they can be used to achieve objectives, and some implementation strategies which can help growing organizations like American Airlines. Ever since the birth of Facebook and Twitter, more and more companies are now interacting with their customers social networking sites. In my previous blog posts, I've mentioned about how Campos Coffee, Clearly Contacts, and American Airlines uses Facebook and Twitter to build a reputation by relating to their customers. To help businesses get the most out of social media, Sharlyn Lauby, president of the Internal Talent Management (ITM), came up with 5 techniques of implementing social media business strategies. One of the most important strategies among these which organizations could employ is to first "Determine Your Objective". What do you want this to do for your company? - Some companies might turn to social networking to increase their reputation and other times, they might just use it to collaborate and achieve employee satisfaction. 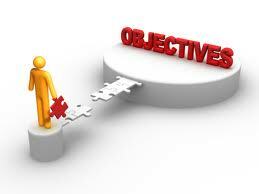 With your objectives all set, you will find that planning becomes simpler and more systematic. Besides that, achieving these objectives also becomes less overwhelming. Apart from determining your objectives, businesses should also use more than one social networking website to stay ahead of their game. On top of that, they could also employ evangelists, consider their employees, check their existing technologies, and also to listen and observe from others. For more details on these strategies, feel free to visit Adrian and Blake's posts . Love the point you showed. Whenever you come into business, a GOAL means everything. It is very important to state whats the objectives, in order to plan the social media strategy and make sure they are on the right track to the right direction. However, as you stated in you final thoughts. 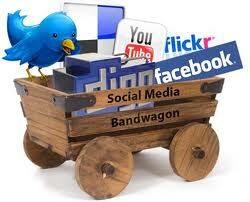 "businesses should also use more than one social networking website to stay ahead of their game." I suggest that is only available and suitable for Organisation which had own a very stable and strong social media page. It is not very suitable for those Organisation which just started their implementation of social media with the first time.